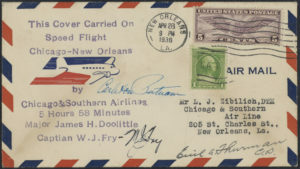 Title: "This Cover Carried on Speed Flight Chicago-New Orleans by Chicago & Southern Airlines, 5 Hours 58 Minutes, Major James H. Doolittle, Captian [sic] W. J. Fry." 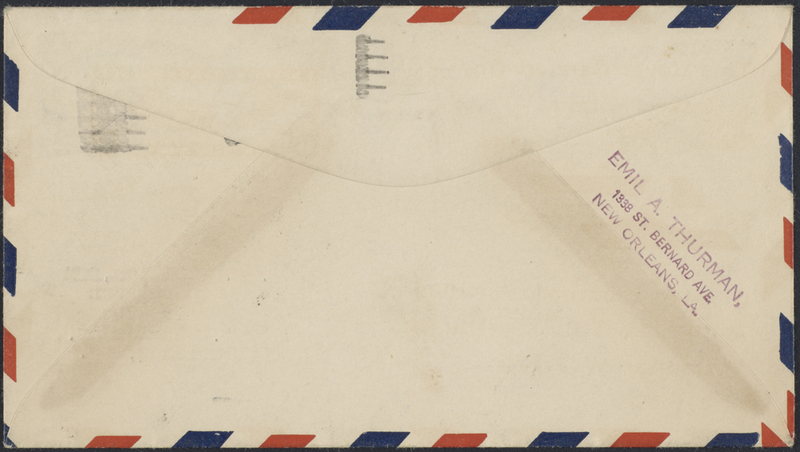 Postmarked April 28, 1936. Autographed by Fry, Carleton Putnam, and Emil Thurman. 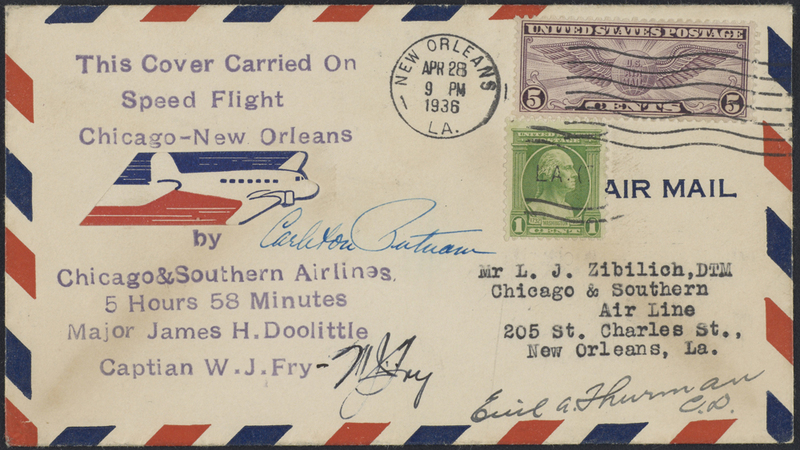 “This Cover Carried on Speed Flight Chicago-New Orleans by Chicago & Southern Airlines, 5 Hours 58 Minutes, Major James H. Doolittle, Captian [sic] W. J. Fry.” Postmarked April 28, 1936. 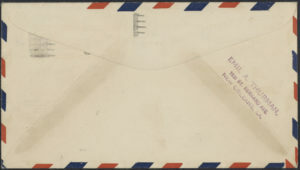 Autographed by Fry, Carleton Putnam, and Emil Thurman.